KE00025 is a solid phase sandwich Enzyme Linked-Immuno-Sorbent Assay (Sandwich ELISA). 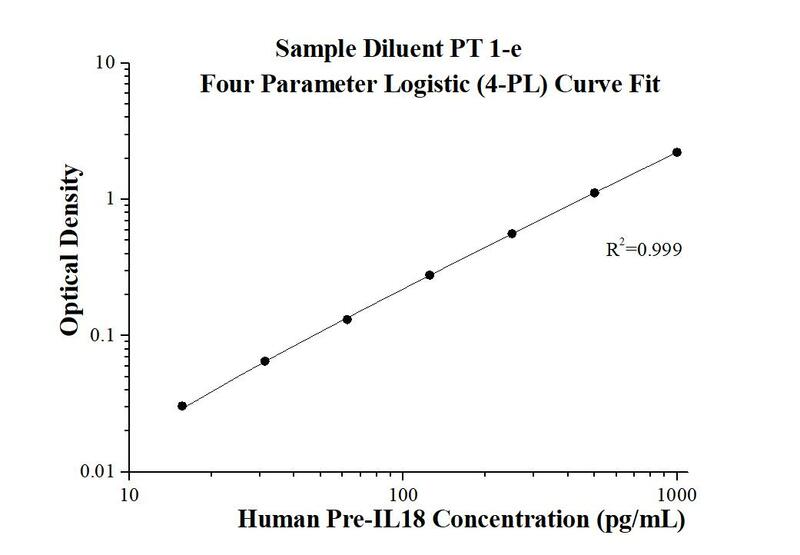 The IL18 ELISA kit is to be used to detect and quantify protein levels of endogenous Pre-IL18 and mature IL18. The assay recognizes human IL18. A polyclonal antibody specific for IL18 has been pre-coated onto the microwells. The IL18 protein in samples is captured by the coated antibody after incubation. Following extensive washing, a monoclonal antibody specific for IL18 is added to detect the captured IL18 protein. For signal development, horseradish peroxidase (HRP)-conjugated Anti-mouse antibody is added, followed by Tetramethyl-benzidine (TMB) reagent. Solution containing sulfuric acid is used to stop color development and the color intensity which is proportional to the quantity of bound protein is measurable at 450nm with the correction wavelength set at 630 nm. IL18, also named as IGIF and IL1F4, belongs to the IL-1 family. It augments natural killer cell activity in spleen cells and stimulates interferon gamma production in T-helper type I cells. The IL18 cytokine increased expression of vascular cell adhesion molecule-1(VCAM1) and the adherence of melanoma cells. IL18 plays a major role in atherosclerotic plaque destabilization leading to acute ischemic syndromes. IL18 negatively regulate NAFLD/NASH progression, as well as multiple aspects of metabolic syndrome via modulation of the gut microbiota. This kit is used to quantify IL18 level in vivo.